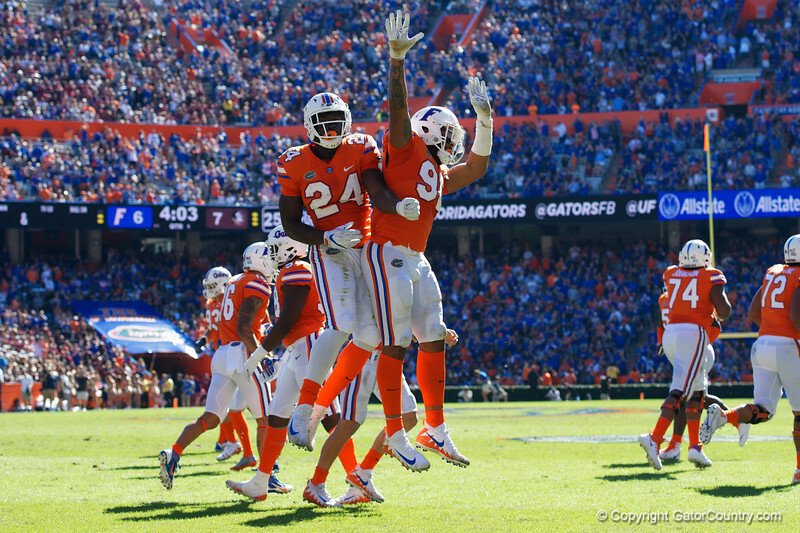 University of Florida Gators running back Mark Thompson and University of Florida Gators defensive lineman Cece Jefferson celebrate after Thompson rushed into the endzone during the first half in which the Gators lost 38-22 to the Florida State Seminoles at Ben Hill Griffin Stadium in Gainesville, Florida. November 25th, 2017. Gator Country photo by David Bowie.